Apple just sold its billionth iPhone! Apple named in another top tech list. One billion iPhone devices have officially been sold now since Steve Jobs unveiled the magical smartphone back in 2007, the company revealed today. 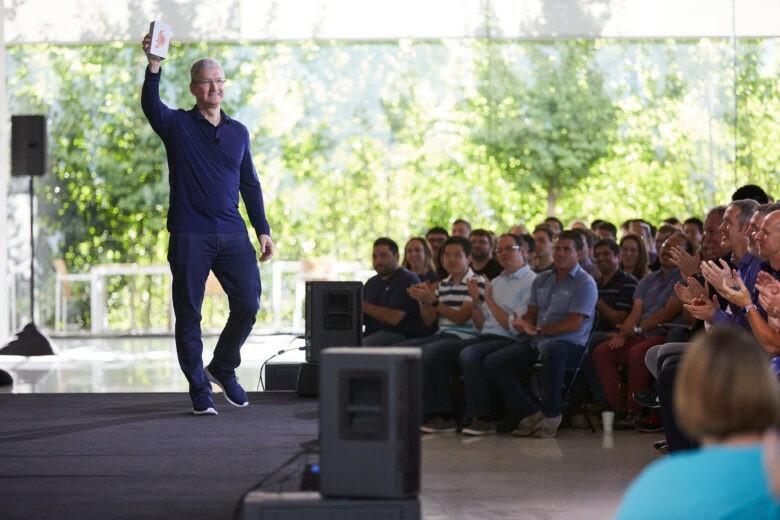 Apple CEO Tim Cook made the announcement at a company meeting in Cupertino today that was also attended by COO Jeff Williams and other top Apple executives. “iPhone has become one of the most important, world-changing and successful products in history. It’s become more than a constant companion. iPhone is truly an essential part of our daily life and enables much of what we do throughout the day,” Tim Cook said in a statement on Apple’s website. Apple revealed earlier this year that it already had over 1 billion active devices, but didn’t say how many of those were iPhones. The device has become the company’s most important product ever, bringing in nearly two-thirds of total revenue. The iPhone-maker has a lot to celebrate this week after posting better-than-expected earnings for Q3 2016 yesterday. Apple is expected to unveil its next-generation iPhone in September with headline features such as an improved design, 3D Touch home button, dual-lens camera, A10 processor, and no headphone jack.